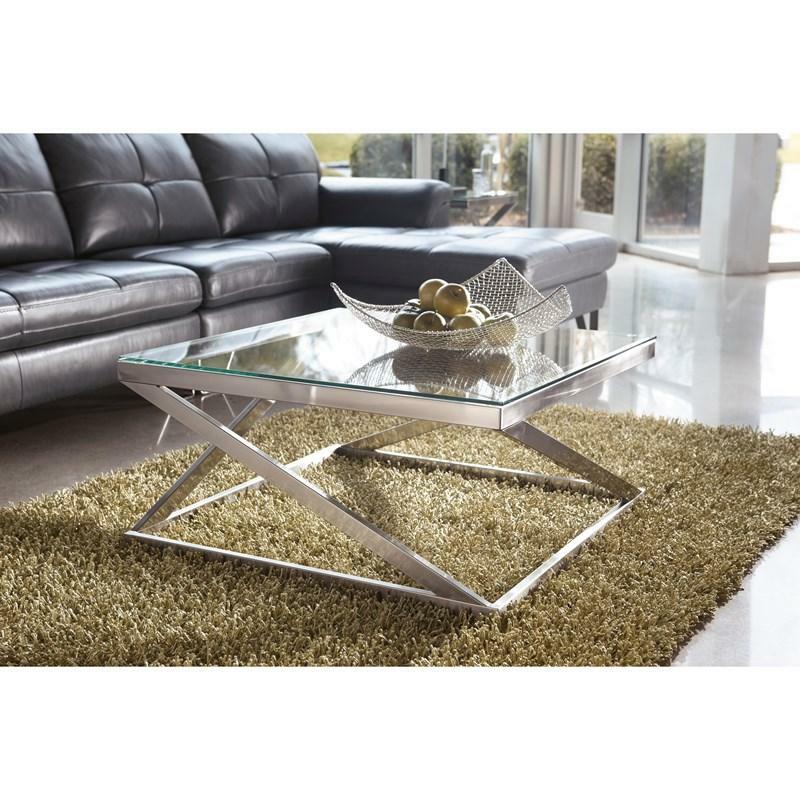 When it comes to clean-lined, modern style, the Coylin square coffee table comes full circle. 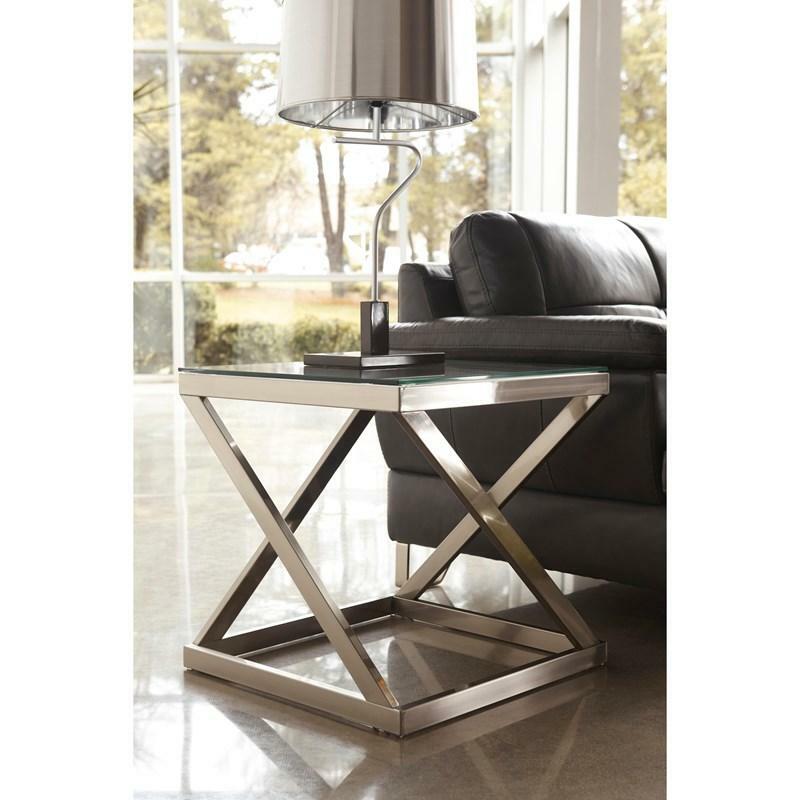 Decked out in a chic finish, the angled metal base is striking from every angle. 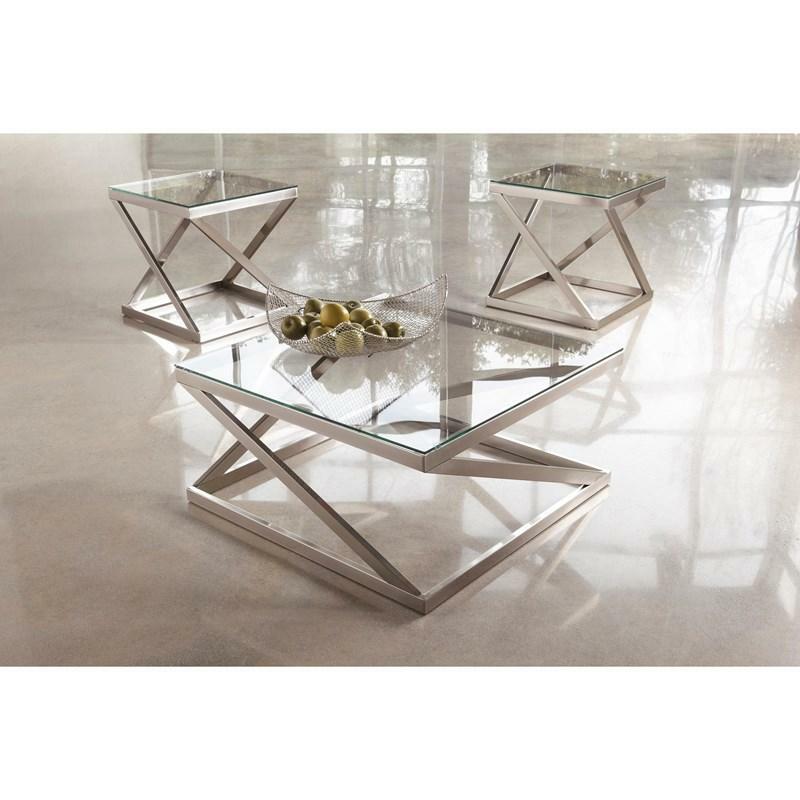 It’s topped off with a clear glass top with polished edging for a sense of refinement. Volume 5.03 cu. ft. / 0.14 cu. m.